The market indices closed significantly lower on Friday evening in response to massive political upheaval that followed Telugu Desam Party's (TDP) withdrawal from the National Democratic Alliance (NDA). 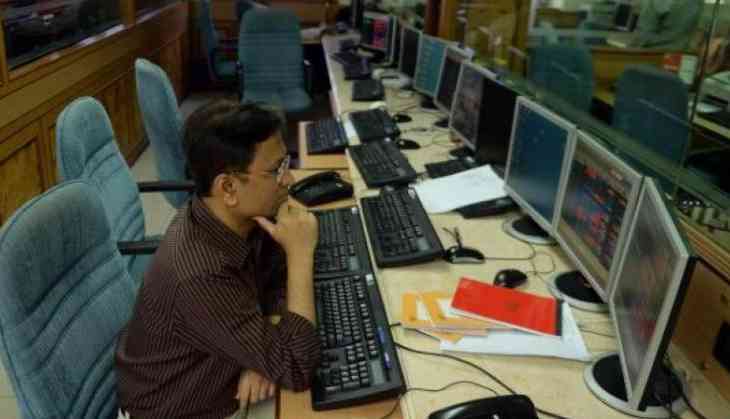 The BSE's Sensex plunged by 509.54 points to 33,176.00, while the Nifty closed 165 points lower to 10,195.15. On a related note, Andhra Pradesh Chief Minister and TDP chief N. Chandrababu Naidu on Friday said his party's exit from the NDA coalition would not have happened, had there been a provision of Special Category Status (SCS) in the Andhra Pradesh Reorganisation Act that bifurcated the state. "The bifurcation promises are not yet fulfilled. Had special status been included in the Act in the Lok Sabha then, this situation would have not arisen," Naidu said in the state Assembly. In a formal announcement of TDP's exit from the NDA, Naidu said, "I took the decision, not for selfish reasons, but for the interests of Andhra Pradesh. For four years, I made all efforts, went to Delhi 29 times, asked many times. This was the Centre's last budget and there was no mention of Andhra Pradesh, we had to pull our ministers out of cabinet." The Chief Minister also lambasted Union Finance Minister Arun Jaitley who denied the TDP's demand for more funds contending that "sentiment cannot increase quantum of funds."